What income can I expect from renting my Spanish property? The number of bookings you can expect to generate from renting Spanish property and your resulting rental income will depend on a variety of factors. Obviously the first consideration is your choice of advertising, which we have covered in our ‘Owners Guide to Renting‘. The location, style, standard, price and facilities of your property are all key factors which will influence the success of your advertising and hence the number of bookings. You should normally able to secure property rentals for several months of the year, including the high and even low season for owners with property in the most popular holiday areas. Obviously an inland apartment in an area largely undiscovered by tourists is unlikely to generate the same level of interest as a villa with sea views and a private swimming pool in a top holiday spot. On average, a 3 bed villa with a pool within 10 minutes drive of the sea will obtain £800 per week during the 6 week summer period, whilst the same property with air-conditioning and satellite TV will bring in around £1,000 per week. A 2 bed apartment with communal pool within 10 minutes of the beach will bring in a return of around £450. These are not ‘hard and fast’ figures as it is dependent also on other factors but on the whole renting Spanish property to holidaymakers or even for longer terms, can be very lucrative providing you are offering the right property at the right price. Before pricing your property rental weeks, it is advisable to browse various advertising mediums for other properties similar in style and location to your own. However, in some areas there is so much property for rent that owners have to make sure that their prices are kept competitive. Generally, people booking holidays via the internet expect to pay less than they would from a high street travel agent. It is important to respond quickly to rental enquiries and it is important that you should be contactable at all times If you do not have the time or inclination to deal with the advertising, enquiries and bookings yourself, a letting agency can take over the work on your behalf – All you have to do then is sit back and receive the income from your Spanish property rentals! If you are not ‘on hand’ it can be extremely beneficial to employ an agency to take good care of both the rental management and the comfort of your guests. They will arrange the advertising of your Spanish property, and deal with the resulting enquiries and bookings on your behalf. 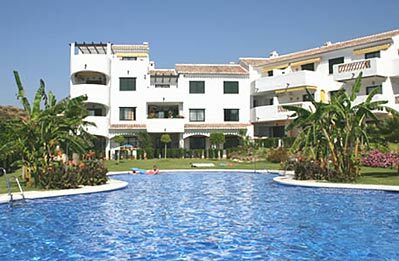 The fees charged by a Spanish property rentals agency, which are usually a percentage of the booking fee, are easily recouped by regular letting and it is in their interests to make sure that each booking goes as smoothly as possible, resulting in guests that wish to re-book the following year, and recommend your property to others . . . Word of mouth advertising is probably about the best you can get!.